SAVE THE DATE! 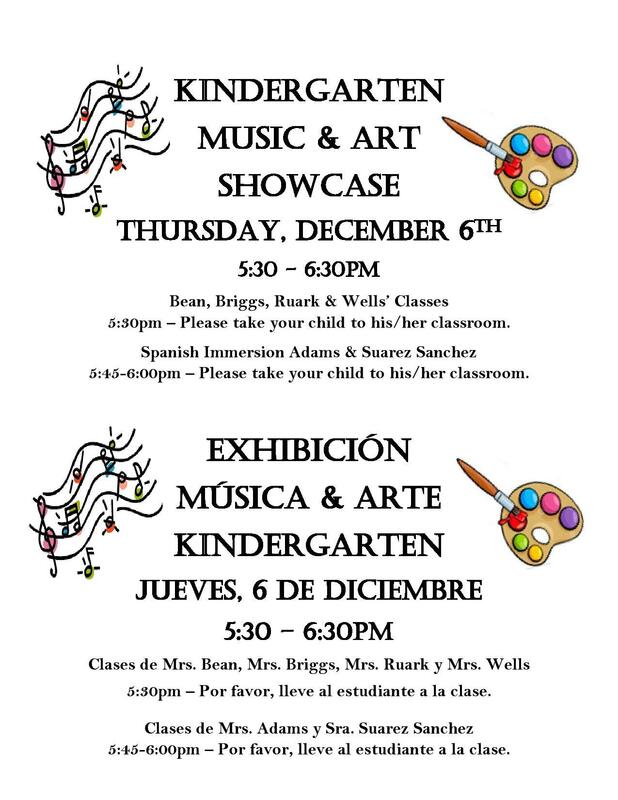 Our kindergarten music and art showcase will be on Thursday, December 6th. Please see the flyer for the schedule time to arrive to your child's classroom. More information will be coming home closer to the event.